The Goosecroft Centre as it is now with its re-surfaced car park and canopy shelter. The refurbished centre re-opened in May 2017. The official opening was on 2nd September 2017. Please read the Autumn 2017 Newsletter on the news section of the website which will tell you more. Go to Events in News for upcoming events. The February Newsletter is out now - Look under Newsletters. Thank you to everyone who came to and who helped with the Spring Fayre on 23rd March. We raised £525 thanks to all our supporters and helpers. The Drop-in programme from the 8th May can be found in Events under News. Look on About under 'Who We Are' for details of our Policies and Centre Guide. For more details contact the Centre Manager. We have a new Facebook page run by the Ipad Club. 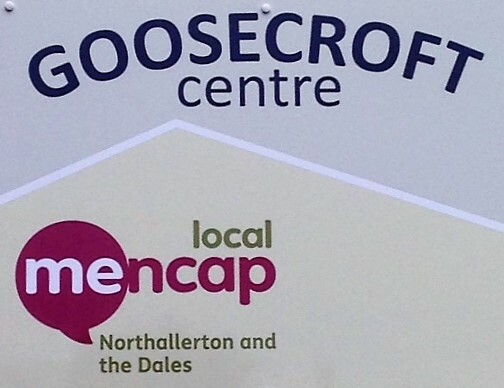 Look on Facebook under Mencap Northallerton. If you want help with looking at the new Facebook page let us know, we will be happy to help. Go to Useful Links or click on Preparing for adulthood introduction.pdf for useful Information - from there you can go to other linked information. For over 50 years we have been your local independent charity supporting and campaigning for people of all ages with learning disabilities, their parents and carers. 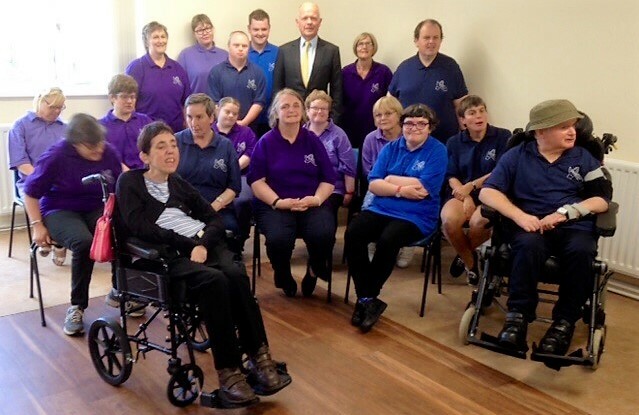 William Hague, President of the Society, with the Hands and Voices Choir.